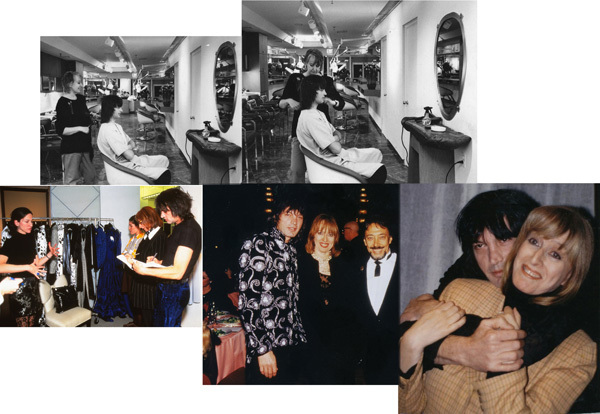 Bottom left to right: Briefing by Cynthia Rowley for her Fashion Week show, 1996 Photo by David Webber … Helen with Sahag and Luis Llongueras, my two bosses in 1996. (Llongueras, publisher Peluquerias Magazine and owner of over 100 salons and schools, is also a painter, sculptor, photographer, author.) Photo by Alan Perlman…Sahag and Helen at The Workshop, early 1997. The love shows..
Jutta, how lovely to hear from you. Been a long time. Thanks for the love it and lovely words.